It usually comes naturally. Without any thought. Until we are asked to switch positions…that’s when things can get a bit chaotic. I always say, 4-Hand Lomi is a Ho’oponopono class. Tandem flow is a more modern expression of Lomi Lomi that involves two therapists, working together for healing in one client. Last week, during our Month-long Lomi Lomi Immersion, we began the 4-Hand Lomi course. I introduced the idea that we would be learning to work with others. In 4-Hand Lomi, we practice non-verbal communication. We synchronize rhythm and flow and breath. With each other. With the client. Imagine a sacred triad. 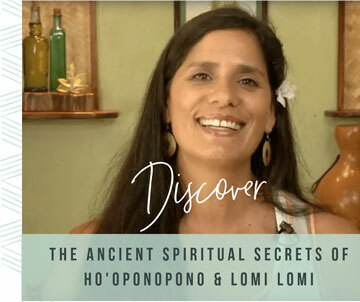 Two Lomi practitioners calling in Spirit. Holding sacred space for another. The third involvement comes from the person lying on the table and all of their guidance. Amazing! Imagine the energetics in a room full of people learning to work together with a statement like that? Here’s my thought…in Lomi, you are never working alone. It’s spiritual work filled with spiritual connection. Power. Amplified. In Lomi, you are working with your guides. The client’s guides. Ancestors. Spirit. There is no such thing as a solo artist. If you THINK you are working all by yourself, PLAN to work alone and DECIDE that’s the way you want to work…then ALONE is exactly where you’ll be. Expending tons of energy. Exhausted. Let me offer an alternative… Lomi Lomi. Work with Spirit. Have more energy. More insight. Infinite amount of knowledge that you have access to for the person that’s lying on the table and more. More than you can imagine can be happening. Day 2: The person who “didn’t feel safe” in groups was having little bickering sessions in-between breaks and classes with other classmates. Essentially creating an environment that wasn’t safe. An environment where the projected energetic is not feeling safe. And then, about ten minutes later, there’s another outburst. Again, it’s the same one, who felt unsafe. And now, she’s yelling at the other therapist in the middle of the class. Everyone feels disrupted. Everybody’s who’s focusing and breathing and in their rhythm and in their bliss, and we’re all now interrupted by this screaming tirade. Leaving is always a choice. When we feel uncomfortable, we can deselect and simply get out of the situation. Demanding respect is another choice. Unfortunately, when we’re acting in a way that’s disrespectful of others, we are never going to get it. It’s a self-fulfilling prophecy. When we are seeking to control a situation where are supposed to be the followers… When we’re seeking to control a situation and feel upset that we have to work with someone, the energetics are felt, whether we’re saying it or not. In the end, the one left and the one who had the tirade ended up staying. And I felt that the only thing left to do, was call in the clean-up crew. I looked outside. I prayed for the ancestors to come and make some rain because the room was so heavy. But there was not a cloud in the sky, and no rain was coming. So, I did the only thing I knew to do. I created my own Pakai ceremony of cleansing. And I began to weep. Tears of water and salt to purify. Crying tears over the hearts. I used myself as the vessel for helping to clear and clean the space. I led everybody through a meditation to heal a crying out of an inner child needing love. It wasn’t just the two that were fighting in the classroom. It was everybody. Including me. As I prayed, I asked everyone to anchor in more light and love into the space. I asked everybody’s higher spirit to rise and embrace them. To embrace the inner child within each and every person in the group. I let go of any roles or masks of teacher-student. I released the notion of the teacher to be professional or hold it together. Because what was needed in the moment, was something real. Something authentic. And something from the heart. The result? Transformed energy. Peace returned to the classroom. Everybody gave their inner child’s spirit a giant hug. And we were able to proceed and finish the class. Everybody received exactly what they needed to receive that day. Exactly what they asked for. If you are stating to the universe, “I’m going to be challenged because this is my stuff”. You make it so. If you say to the universe, “I am unsafe in this world,” you will create an environment where you don’t feel safe and people don’t want you there. I could’ve made a choice, “I’m going to hold it together and choose not to let energy flow in the way it needs to go.” But then that room would have burst in frustration. Someone probably would’ve started yelling at the one who was yelling. And who knows what would have happened? Sometimes we just need to go with the rhythm that’s in front of us. Synchronize with a greater aspect of ourselves. Celebrate the inner child and the ability of our own tears to cleanse and clean our hearts. Help clean around us, offering more love, more compassion, more allowing of people to be exactly where they’re at without shaming anyone. Where our thoughts go energy flows. I am grateful for the ‘Ohana, and the opportunity to be authentic. To hold a sacred space of healing, even if it doesn’t look like what you think. Be Authentic. Meet people where they’re at. Be willing to be flexible. We are not limited. There are no limits. No boundaries. No boxes. Only the ones that we put ourselves in. We can lead and we can follow. We can love and we can cry. And I encourage you to find that authentic truth within yourself. I would love to hear from you…are you giving plenty of love and compassion and allowance to your inner child? What does that look like for you? PS: We have just released our Lomi Lomi Calendar for 2018. Come to Maui and learn Lomi Lomi.